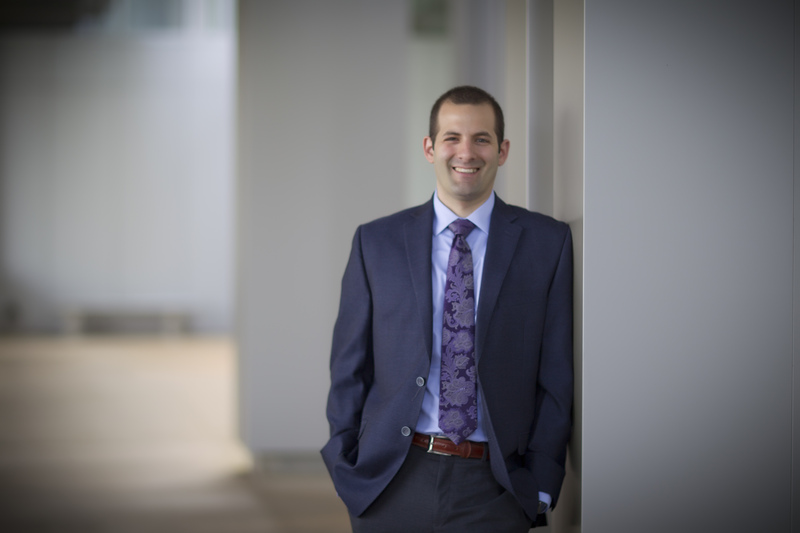 A study led by UNC Lineberger member Michael J. Emanuele, PhD, was featured on the cover of The Journal of Biological Chemistry. The researchers uncovered new details about a protein called NUSAP1 during chromosome segregation, and offered a possible way to sensitize cancer cells to a particular type of chemotherapy. UNC Lineberger member Michael J. Emanuele, PhD. 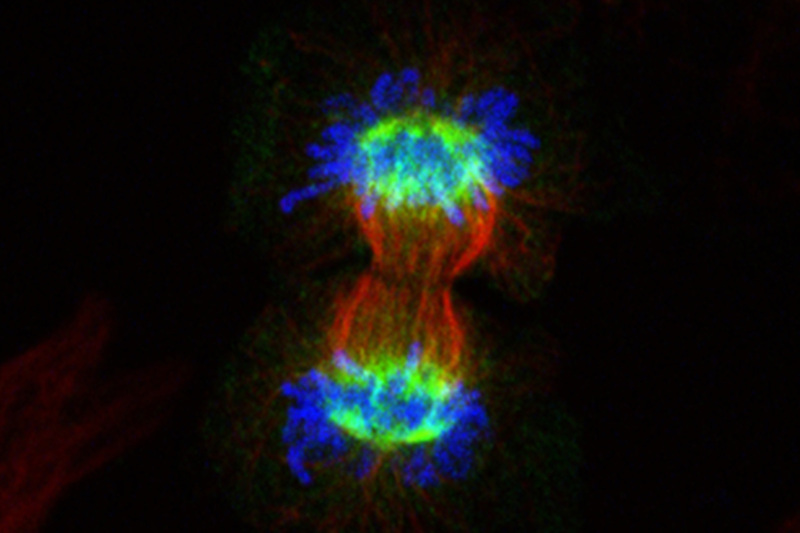 The image, which was on the cover of The Journal of Biological Chemistry, shows a cell in anaphase, and highlights the localization of NUSAP1 on the mitotic spindle. By uncovering new details about a protein’s role in cell division, University of North Carolina Lineberger Comprehensive Cancer Center researchers revealed a possible approach for making chemotherapy more effective against certain cancer cells. Their findings, published in The Journal of Biological Chemistry, clarify the function of the NUSAP1 protein, which helps to stabilize the mitotic “spindle” fibers that help to partition and direct genetic material as a cell divides. Previous studies had shown that NUSAP1 binds to the spindle microtubules and helps to stabilize them as cells pull their DNA apart, but the protein’s specific function was unclear. Emanuele’s team found that NUSAP1 localizes to the microtubules during cell division as well as identified one of its co-actors: a complex of associated factors, collectively referred to as the RanBP2-RanGAP1-UBC9 SUMO E3 ligase. There preliminary evidence suggests that NUSAP1 functions in concert with this group of factors to promote cell division. Importantly, they showed in their preclinical studies that removing the SUMO E3 ligase factors can make cells very sensitive to paclitaxel, a chemotherapeutic drug. Paclitaxel interferes with the mitotic spindle, and their work suggests that impairing the spindle function by shutting off NUSAP1 or the SUMO E3, could potentially make paclitaxel treatments more effective or reduce treatment doses, and ameliorate side effects of the drug. “In the long-term, this suggest a possible avenue to reduce chemotherapy doses, while achieving the same effects,” Emanuele said. In addition to Emanuele, other authors include Christine A. Mills, Aussie Suzuki, Anthony Arceci, Jin Yao Mo, Alex Duncan and Edward D. Salmon. The study was supported by the University Cancer Research Fund, Susan G. Komen, V Foundation for Cancer Research and National Institutes of Health.